Patrick Alain. Official Author Site. 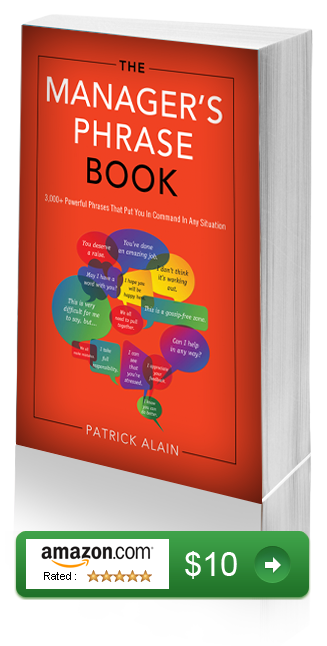 Patrick Alain's three books on Leadership/Management are the product of ten years of research on the corporate world. It is his effort to share one of the most invaluable skills in life: "Communicate like a pro". With his master communication skills, Patrick Alain helped to develop multi-awarded video games bestsellers which include Grand Theft Auto, Red Dead Redemption and the Midnight Club Series. Patrick Alain was born in Paris, France and has lived in a number of countries throughout his life. Being fluent in five languages, Alain attributes much of his success to his capability of vitally participating in large elitist teams. Since 2004, Alain lives in San Diego with his wife and daughter. 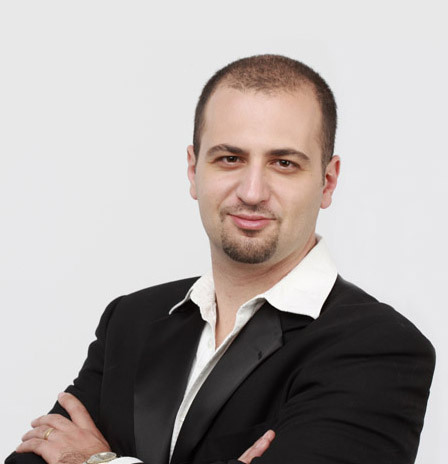 He holds a Master's degree from the University of Paris and runs a real estate company in San Diego. THE LEADER PHRASE BOOK contains more than three thousand dynamic phrases that will enable you to master all of life's important situations. You will be in command of words and always stay ahead of the game. With this passport to success, you will begin a new game where you are among the charismatic, the untouchable the elite. This easy-to-use reference book will give you a new image in which you can take personal pride, helping you to reach your full Leadership potential very fast. You will have all the weapons to effectively succeed where vibrant, forceful language is required. 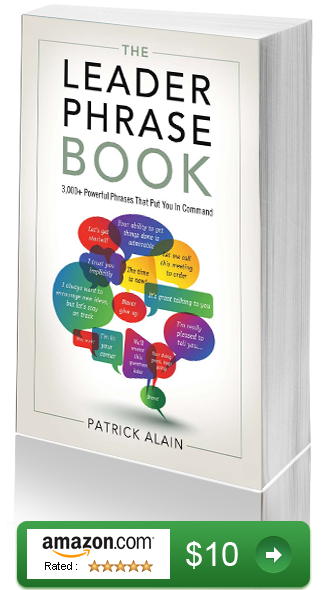 3000+ Phrases For Successful Performance Reviews. Have you ever found yourself at a loss for words around performance review time? Do you find yourself searching for the tone that will perfectly encapsulate exactly what you need to say to each employee? 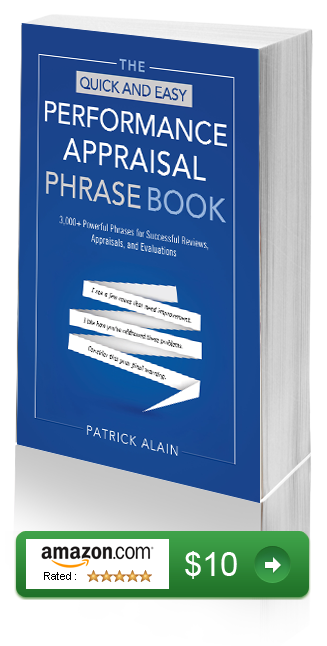 If so, The Quick and Easy Performance Appraisal Phrase Book is definitely for you! Whether you're a seasoned manager or just starting out, this is your go-to reference. Whether you need to jump-start the review-writing process or are searching for phrases you can use verbatim, The Quick and Easy Performance Appraisal Phrase Book features ready-made wording for virtually every situation. With this book, any manager will be able to quickly and easily select the best phrasing for any review--good or bad. With this passport to success, you will begin a new game in which you are among the charismatic, the untouchable--the elite. The Manager's Phrase Book is an amazingly fast paced, easy-to-use reference book.